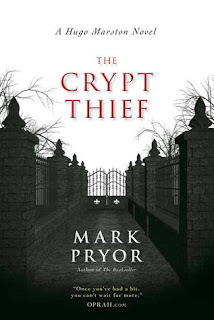 I just read "The Crypt Thief" by Mark Pryor and thought readers would be interested in this fascinating series, a crime series starring a gentlemanly protagonist and set in Paris. 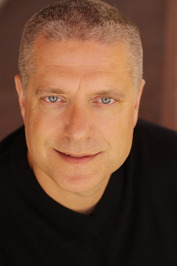 Below is an interview with district attorney, Texas Brit and author Mark Pryor. Hi Mark, Welcome to Murder Lab! Please tell our readers a little bit about yourself. Hi, and thanks so much for having me. Let's see. The first thing people usually notice about me is that I'm a foreigner. English, to be precise, which sometimes catches people off-guard if they're not expecting it, and I'm wearing my cowboy boots. I moved to the States about twenty years ago, living in North Carolina (where my mum was born and raised) for ten years, and now I've been in Texas about ten years. I used to be a newspaper reporter, in England, covering the crime beat for a local paper. Not as exciting a beat as it would be over here - in my last year there, not a single murder! I did some freelance writing when I got to the US, and then went back to school to get my law degree. I currently work as a prosecutor for the Travis County DA's office, which is in Austin. I have just finished reading your latest novel, The Crypt Thief, and it was a blast. Please give our readers a brief introduction to this novel. I am trying to highlight one or two aspect of Paris with each novel, either a geographic location or a time period. Grab them and have fun with them. The Crypt Thief kicks off in Paris's most famous cemetery, a wonderful place called Pere Lachaise. A mysterious ne'er-do-well creeps into the cemetery and runs across two tourists, and because they're interfering with his plan he kills them. I know, bodies in a cemetery, outrageous isn't it?! Anyway, one of them was due to work at the US Embassy, which raises a red flag. Your protagonist, Hugo Marston, is a fun character. Tell our readers a little bit about Hugo. Thank you, I try to make him interesting. When I came up with the idea for Hugo, I wanted to model him after certain people. One was my dad, a very honest and unjudgmental man, with great intelligence and a sense of humor. He's also based on several real-life profilers I've met, men who kind of sit back and watch the world unfurl around them with knowing looks on their faces. Overall, and in terms of fictional heroes, I wanted Hugo to be somewhat old-fashioned. He's not your alcohol/drug/past tortured kind of main character. Sure, he's having a hard time with finding a woman to fall in love with (and who'll fall in love with him) and he's a little hard to get to know, but in most ways he's a more old-fashioned kind of hero: handsome, brave, smart, funny, and very much a gentleman. Beyond Hugo, The Crypt Thief is populated by an entire cast of fascinating characters, actually. Your dialogues are priceless and your villain, The Scarab, is exceptionally creepy. Where did this character come from? Care to comment on his namesake, the scarab beetle? Sometimes with a character you just get to hit the 'Go' button and see what happens. There are several ways to handle the creation of a serial killer, and a common one these days is to have him seem like everyone else, blend in and make the reader wonder as to who he is. I went the other way because I wanted to give my reader's chills, make him a powerful and scary image in their minds. He's short, he's ugly, he's ruthless, but he's also clever and has a history that explains why he's the way he is. Hopefully, though, I've made him creepy enough so not many people will sympathize too much! You did a beautiful job of juxtaposing the glamour of Paris, like the Moulin Rouge, with the cemeteries in the city and other spookier Parisian elements. What is your connection to Paris? Are all of your books set there? I'm very lucky in that I traveled a lot with my family when I was young, and we all had a strong connection to France. In fact, my mum lives in the south (in the same village as the Scarab, actually) in the Pyrenees mountains. I've been to Paris maybe a dozen times and just plain love it. It's such a walkable city, pretty much everything you'd want to do or see there is near the city center. And because it was never destroyed in the Second World War (like so many great European cities were) it has the old architecture and buildings intact. It has food, art, museums... everything you could want in a modern city. And yes, the Hugo Marston series will be set in Paris, though I plan to start shifting Hugo around a little more. In the third novel, THE BLOOD PROMISE, the action happens at two country homes either side of Paris, as well as in the city itself. And I'm talking to my editor about setting the fourth book in London and the fifth in Barcelona, so Hugo's going to be traveling in the years to come. Of course, that means I have to as well, which is a hardship I will try to bear as bravely as possible. Of course, I now want to go back and read "The Bookseller." 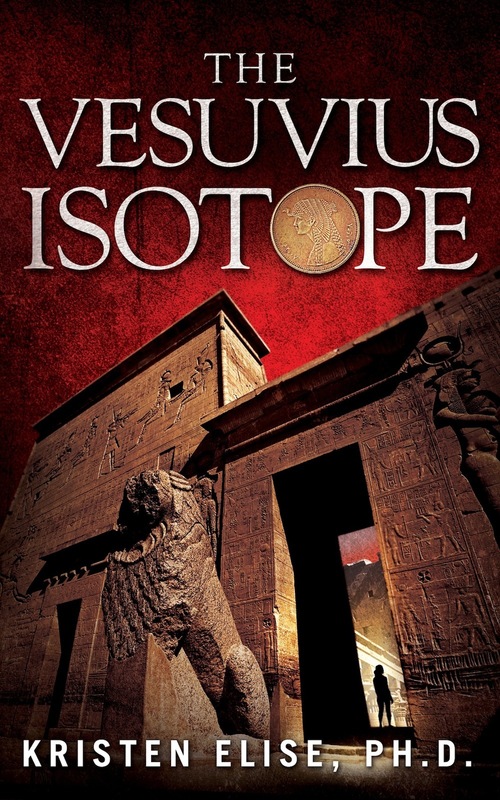 What can you tell me about this first Hugo Marston novel? THE BOOKSELLER centers around Hugo's friendship with a man named Max, who runs a bookstall right beside the River Seine. One day, as Hugo watches, Max is kidnapped and taken away on a boat. Because the Paris police don't seem overly interested, and Hugo feels terrible for not being able to stop the kidnap, he sets out to investigate by himself. To do that, he has to delve in Max's background and he finds out that... well, I don't want to spoil any surprises, so let's just say that Max was hiding a very colorful past. I see you have a third novel from this series on deck. What is the premise for The Blood Promise, and when do you expect this book to be available? With THE BLOOD PROMISE, I'm going back style-wise to the tone of THE BOOKSELLER, more of a mystery than a thriller (though the distinction can be blurry). The novel starts in late 1700s Paris, with a man packing up an old sailor's chest with some mysterious, unnamed goodies, including a letter signed with the old man's blood. How many Hugo Marston books do you intend to write? Is the trilogy the end of him, or will Hugo keep coming back? Nothing is set in stone, but as I mentioned before, it looks like the series will be continuing for two or three more books at least. I'm excited about that because I love Hugo and his friends, and I really enjoy writing his stories. Have you written, and will you write, novels that fall outside of this series? Care to comment? I'm working on something right now, actually, it's still crime fiction but very different in tone. More noir, I suppose you could say. It's set in Austin, where I live, and will bring into play the city's wonderful music scene. I don't have a home for it yet, of course, and my agent's not even seen it but it's fun to write because it's so different. Please tell our readers anything else you would like them to know about you and your books. Well, first I'd like to thank everyone for reading this far. I'd like people to know that I love to hear from readers, the good and the bad (although so far people have only written to say nice things) and I respond to everyone who emails me. I don't like to bug people with emails and mailing lists, so I'd suggest that if people are interested in keeping tabs on the series (reviews, new books etc) the best way is to 'like' my author page on Facebook (link below). Other than that, just to say thanks again for having me! Please provide any contact information you would like our readers to have and ordering information for your novels. 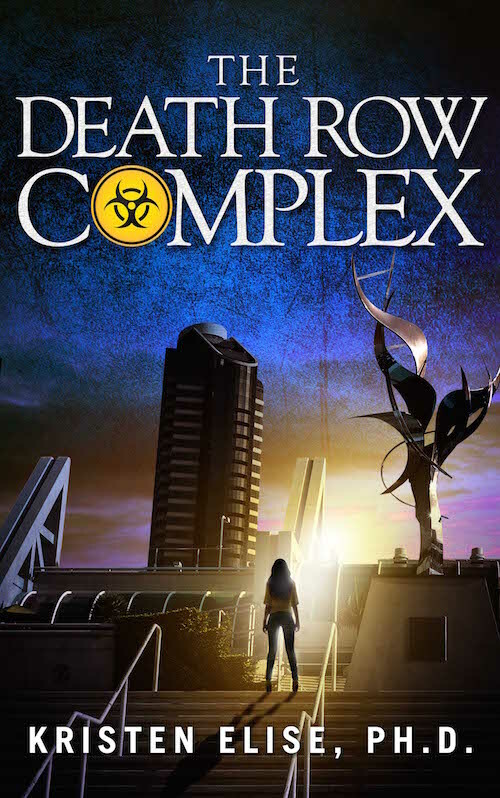 Note from Kris: I have also added The Crypt Thief to our Books section. Check it out!